When I was a kid I would have these slightly uncomfortable but awe inspiring moments when I could actually see myself from the outside looking in. These cathartic little moments lasted all of 30 seconds, but it was so intense and self-revealing that I would end up working my through those out of body-into mind experiences late into the night. I hated these incidents as much as I loved them. They would send me into a frenzy of creativity that usually went nowhere. Drawings and sketches and outlines went unfinished. No matter how many times I went into the bubble, whatever I would do in its aftermath remained as incomplete as the Tower of Babel. The bottom line was that I had many selves, many passions, many interests but no focus to make all of those parts work together in harmony. My childhood and beyond has been peppered by a quietly raging search to find essential kernels and unity in all things; to honor as it were both the way things fit together and the elegance of imperfections. I gave up sports for minute details in geography, biology, botany, zoology and world religions, history, anthropology, sociology and fledgling understandings of gastronomy. I read maps, collected leaves and animal cards, devoured books of so-called trivia (big in the 80’s) and watched cooking shows the same way some kids watched Teenage Mutant Ninja Turtles or The Power Rangers. It is only recently that I realized that all of those experiments, disciplines and baby steps learned in days of wonder and hours of sitting in awe and frustration with the Bubble were really just homework for what I do now. Food is no idol to me, it’s never more important than the people who make it, the stories they give it, or the meaning that those stories bring to our lives. My cooking and my understanding of food is barely scientific; its almost never really truly artful. Food is ethereal, transitory, fraught with the invisible weight of ideas and beliefs, faith and pleasure-seeking, emotion and our most primitive sensuality. Our attempts at understanding food in ways that speak to the art of making it and the science of perfecting it are really just the professional vehicles by which we mitigate the other parts–the funky, irrational parts of food’s place in our lives. Food is what we are as long as we are what we eat and as long as what we eat is something we really understand. That’s how I got here. 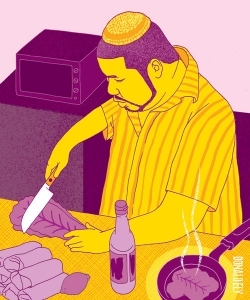 I’m Black, I’m Jewish, and food is my road map as an identity multi-tasker, its how I understand myself. My food is my flag; some people use recipes to impress other people, I use food to understand myself and the world around me. Mix the vegetable ingredients first in a large bowl and set aside. 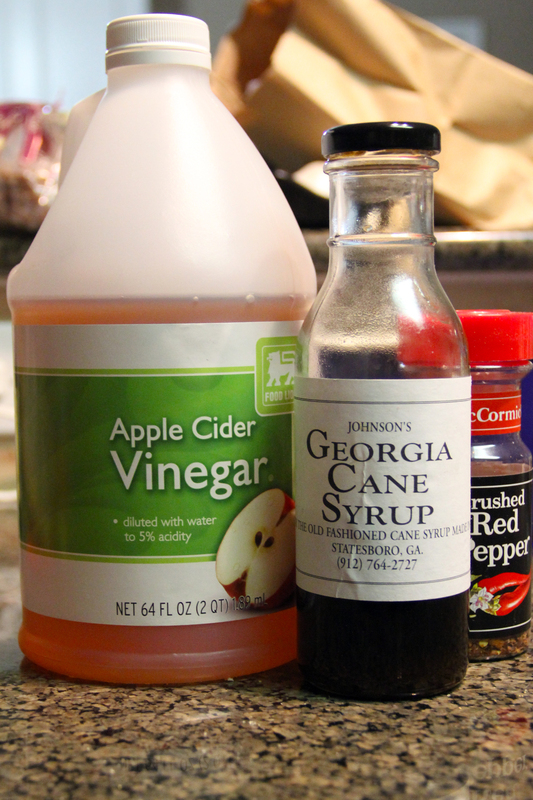 Mix the liquids and salt into a dressing and pour over vegetables. Let chill for 1 1/2 hours. Enjoy with the sandwich or entree of your choice. So basically Health Salad is a Jewish-deli nickname for coleslaw without the mayonnaise. And coleslaw to me is a Dutch lending to American cuisine without which the South might completely be written off for cabbage cookery. It was always there–especially if there was fried fish, barbecue or the like on the table. It has followed me to innumerable Shabbat lunches and meals under the Sukkah. But this one recipe says a lot about me. I am as in love with the cuisine inspired by the shtetl as I am inspired by the slave quarter. 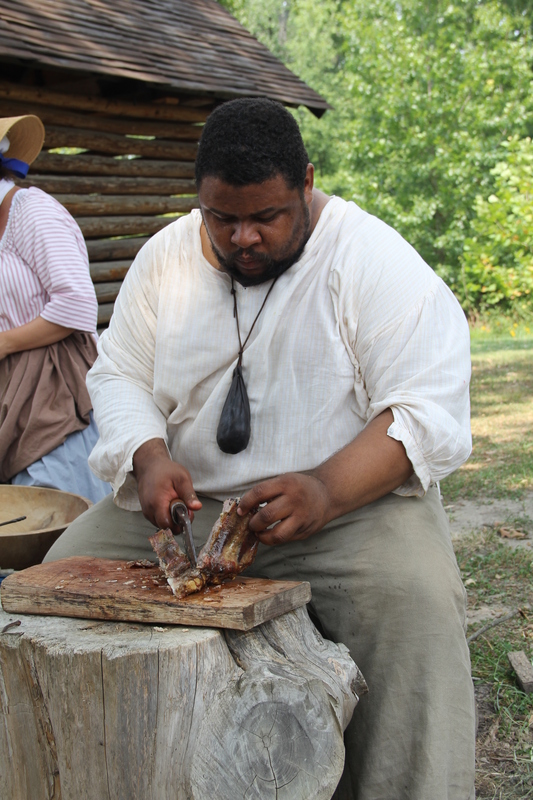 As I say in tonight’s episode–my antebellum chef side is about bringing honor to my ancestors and restoring that honor to the Southern food “brand.” I am very very certain that I want to be able to call myself the only living antebellum Black chef– chains excluded of course. There was an art to mixing cultures in cooking pots and surviving one of American history’s greatest horrors. That art gave birth to the genius of Southern cuisine and rocks the world to this day. To do that I face the open hearth, I learn the ways of the forest, field and waters; I grow the corn and harvest it. I butcher, I catch, I pluck, I plan my path by the seasons and garden in moonlight. I am equally tasked with displaying and weaving my identities as a Jewish man of color by weaving those Diasporas together–its not about and never has been about fusion–its about blending the tones of those two worlds, which have frequently collided on common ground. We use humor, speech, music, movement, food and everything else in our tool box to be our best selves despite the bad days and bad times. This is what kosher soul is. Sometimes those two worlds come together and new music happens. 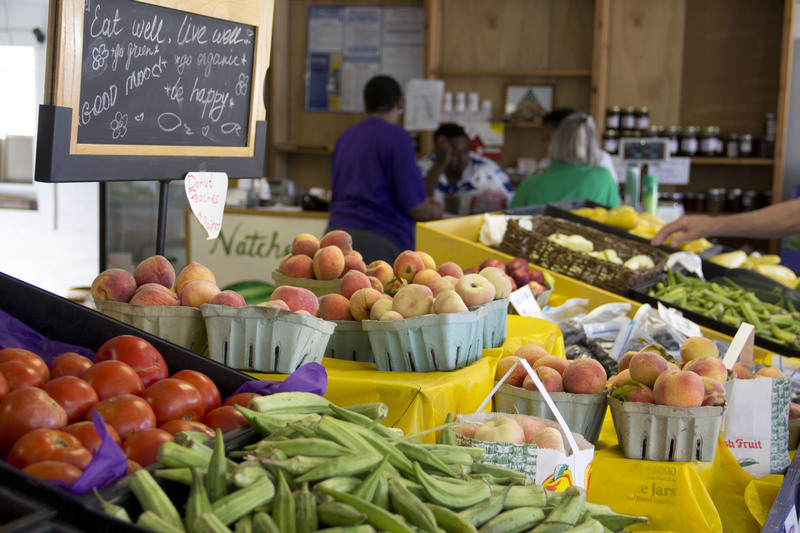 Food is my way of imagining all of the people whose sum total I am…we did the Southern Discomfort Tour to explore that and truly, it’s not done it continues to go on this year and conceivably the next few years until I’m satisfied that I’ve found my roots through food and cooking. As a historic interpreter I have to help people re-imagine the American story through food–its just not the same narrative unless you can taste it. Part of me is kosher soul, part of me is the antebellum chef…those personalities sometimes collide. But I am happy in my weird mix of selves. Multi-task I must. I am not outrageous, exotic, crazy–well–we won’t go there…I’m just me. I’m just Michael. I relish this one chance to be him. Completely. So sorry I missed your show! But this autobiography is wonderful. It really sums up what you are interested in creating and communicating. I so admire your blog…As a multi-ethnic creation myself, I love getting my hands into all the ingredients of my ancestry and playing with all of them. I think of America as not so much of a melting pot, but of a stew. All the flavors can work together, but the individual pieces remain. Congratulations on your success in sharing your work! I hope you keep writing here. So beautifully said! I can relate to all of it (except being on TV).